MK Property Partners is the property sourcing division of NSP Resources. 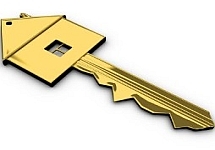 As experienced private landlords we firmly believe in property as a viable long term investment strategy. However, it is vital to be properly informed when making an investment decision. This is why MK Property Partners only sources property in the Milton Keynes area. Our extensive local knowledge enables us to give you an accurate and detailed picture of each property. Not ready to sell/buy yourself? We will pay £50 for good leads on completion of the deal.